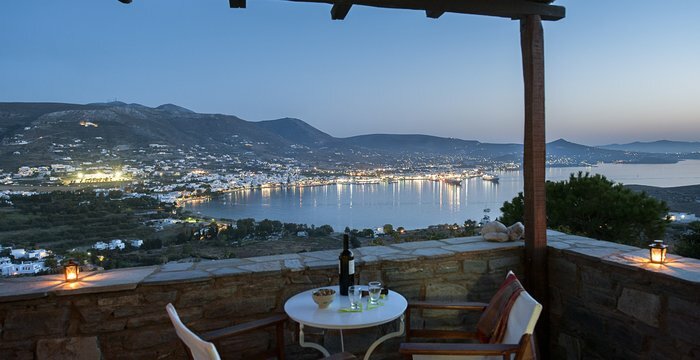 On Paros, Greece, Archipelagos Apartments offer stylish accommodation with panoramic views to the sea and the bay of Parikia. Amphitheatrically built, it follows the natural, minimal style of the Cyclades. Archipelagos offers a total of 8 holiday apartments and open-plan studios. They have been functionally designed to guarantee all convenience in an aesthetic environment, on a large plot of landscaped garden. Archipelagos Apartments are ideal for families and couples looking for a peaceful, relaxing location for their holidays on Paros. A cozy place to stay on Paros with a lot of character and friendly service provided by the local owners.